♫♫♫ If one of your favorite seasons is winter, then you have come to the right place. 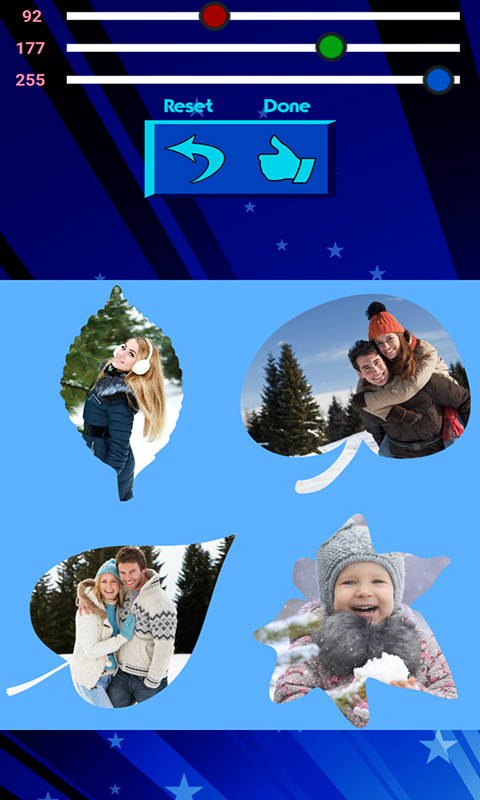 The astonishing charms of it will come around your pictures and will help you decorate them the minute you download free ✈Winter Photo Collage✈ app on your phone. When this season starts so many jovial holidays come to us and the snow covers everything outside. Having a snow fight or making a snowman is what you enjoy most. Since these are the precious moments that you are spending with your family or friends you like taking photographs so you could reflect about the best times you have spent. 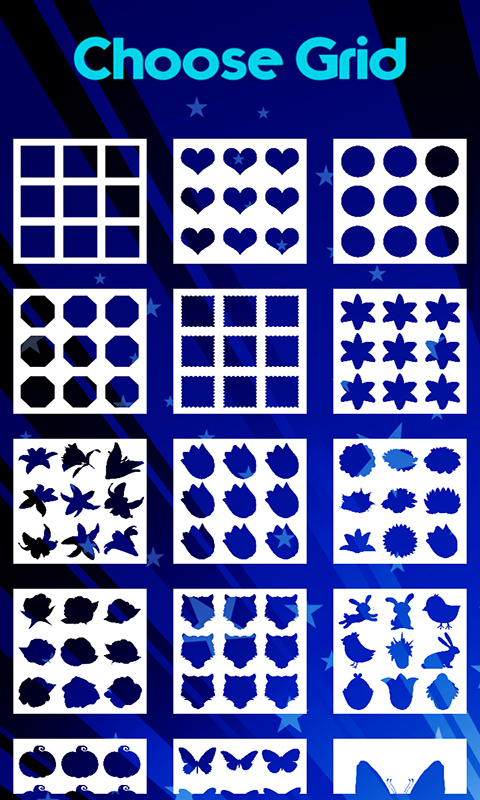 Get these images from your photo album and turn them into a snowy collage art that later on you will be able to set as wallpaper on your tablet. ♫♫♫ All the beauty of this season will come into your new work of art when you place a gorgeous background to embellish your images.